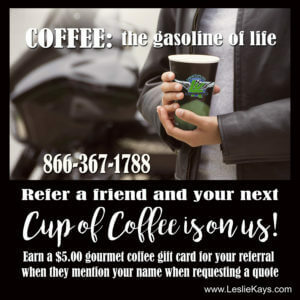 Leslie Kay’s is an independent insurance agency – trained, licensed insurance professionals who offer personal service and advice. We can help match you with the type of policy that best suits your needs and those of your company. 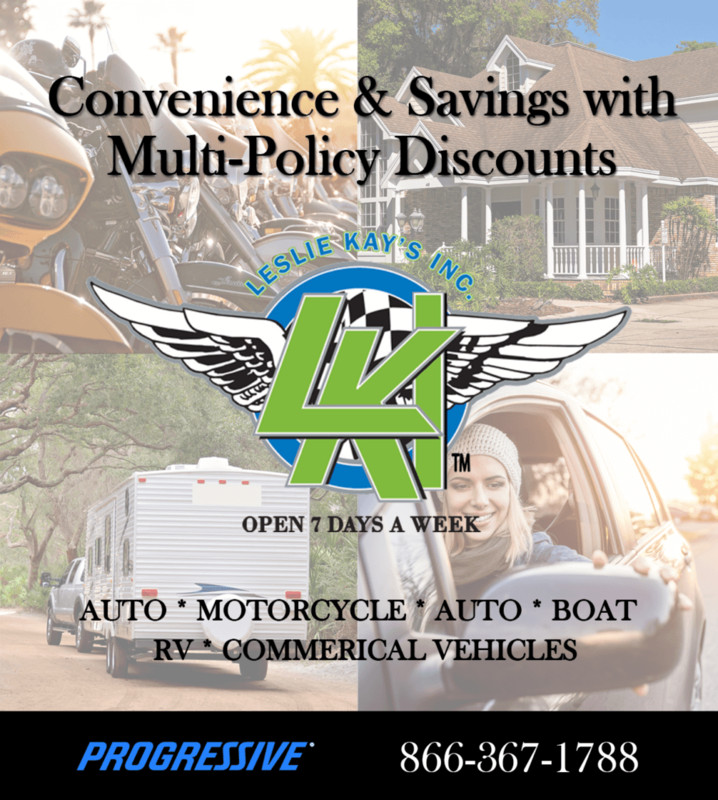 To learn more what an independent agent like Leslie Kay’s can do for you, visit Progressive to learn more! Q: Would it be cheaper to bundle my car and motorcycle insurance with a big, all-encompassing insurer or work with a smaller, motorcycle-specific agency? A: Many carriers offer Multi-Vehicle or Multi-Policy discounts. This doesn’t always mean the lowest rate. You should look for the best combination of rate, coverage and service. Make sure you look for a carrier that offers specialized coverage for your motorcycle, so you can properly protect yourself and others, as well as your motorcycle and any accessories you have added. Be sure to inquire about Roadside Assistance and Trip Interruption coverage; replacement cost for your cycle and parts; & OEM parts coverage. Q: I want to get a dual-sport motorcycle that I can ride on the road and in the trails. Do I need to buy extra insurance to cover myself for off-road riding? A: This can vary by carrier. Be sure to ask your agent if the policy provides coverage both off-road and on-road use. Q: How can a 19-year-old keep motorcycle insurance rates as low as possible? A: When purchasing what may well be your first street bike there are a number of considerations. Completing a Motorcycle Safety Course, and obtaining a Motorcycle endorsement will gain discounts from many insurers, and give you basic skills that will carry you safely down the highways. The type of cycle you select will have the greatest effect on the price of your insurance. For instance, a Sport Bike may cost thousands of dollars a year to insure and a reasonable size Cruiser style bike may only be hundreds. Keeping your cycle in an enclosed locked structure will earn a discount from some insurance companies. Shop around for insurance rates BEFORE you buy. Each carrier may have a different price based on a variety of factors. 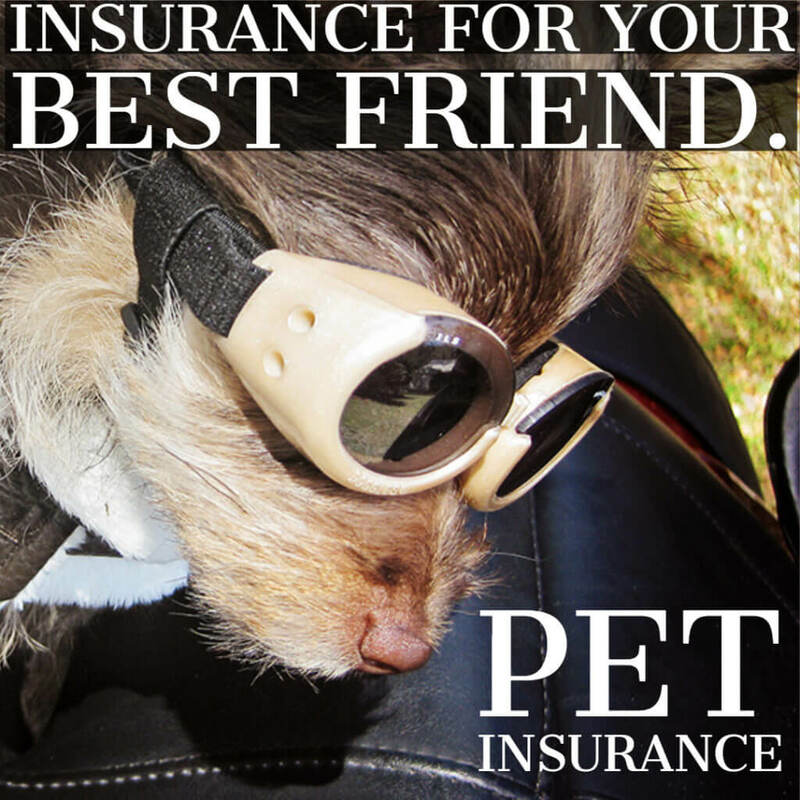 Once you have selected an insurance company or agent you are comfortable with, have them quote several bikes for you. Know what the insurance will cost before you buy. Too many times we get a frantic call from someone trying to find required insurance coverage on a bike. The purchase is done, and there is no turning back. A few advance calls could have prevented purchasing a machine you cannot afford to insure. Q: Are aftermarket modifications covered by my motorcycle insurance? A: Your ride comes from the factory “Plain Jane” just begging to be dressed up in new chrome and leather accessories. Did you know that anything you add to your cycle needs to be added to your insurance policy? Many times a bike comes into a dealership and they dress it up for display. A prospective buyer may just fall in love with that dressed up ride. The cycle is purchased, and insured. When that insurance policy is put in place the agent needs to know that the cycle has NON-FACTORY INSTALLED parts and equipment on it. This includes custom paint jobs. For example, if the paint job is a numbered set from Harley Davidson it needs to be added to your policy under the accessories coverage. A motorcycle policy may automatically provide limited coverage for these add-ons. However, this may not be enough to cover all of the additions. It is your responsibility as the policy holder to notify your insurance agent or company of your upgrades, and to add coverage to your policy. I recommend that every cycle owner keep a file that includes receipts for their upgrades, and with each change to the cycle a good set of color photographs showing the newly installed upgrades. This will make it possible for an insurance adjuster to get their job done efficiently and get you back on the road quickly. If you alter the frame of your motorcycle this may change how the cycle is registered which will require a specialized policy. Q: Is insurance higher on an electric motorcycle? Are there any differences between insuring an electric motorcycle and a regular gas motorcycle? A: The insurance will always be rated on the motorcycle and the driver. Once again your driving record will be considered in addition to the cycle type. Electric motorcycles are typically just as reasonable to insure as a gas motorcycle. Some manufacturers may be more readily accepted than others by insurers. NADA or Kelly Blue Book is a great way to find generally accepted makes and models. Q: I have a 1985 Suzuki 750 that needs insurance. Any suggestions for such an old bike? A: Insuring this bike for your state required limits of insurance is typically very simple and quite affordable. Of course your driving record will be taken into consideration as well. If the motorcycle is a collectible, or has been restored you may be required to show an appraisal, and photos with supporting receipts for any work you have done on the cycle. A used vehicle guide may be used to value your cycle, and having additional documentation will be to your benefit. 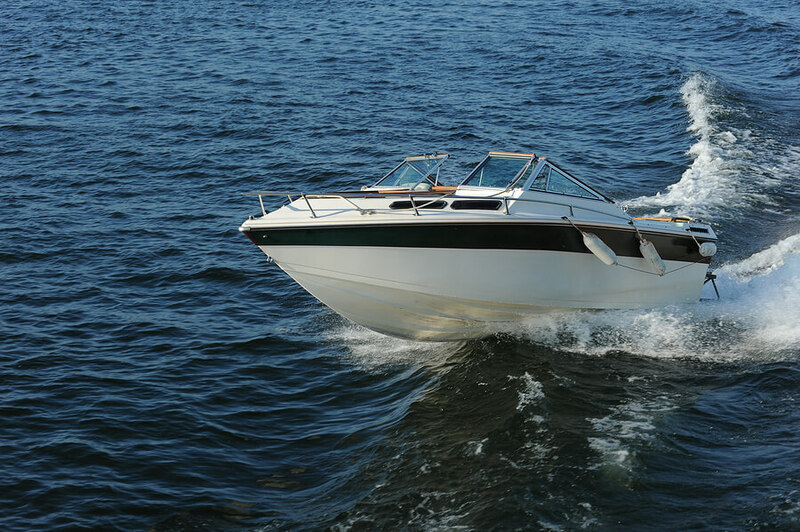 Always ask your licensed insurance professional detailed questions in advance of making your purchase.